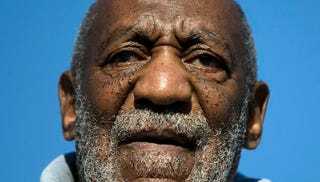 Between attempting to discredit his numerous accusers, Bill Cosby is also fighting to keep old court documents sealed. On Wednesday, according to the Hollywood Reporter, Cosby’s lawyer argued that opening the records, sealed after the suit brought against the comedian by Andrea Constand in Pennsylvania in 2005 was settled, would be unfair to Cosby. However, a Pennsylvania law says that after two years, the sealed records can be unsealed. The Associated Press asked to see these records, to which Cosby’s lawyers screamed in horror because there’s probably quite a bit of incriminating details in those files—especially as the Coz is trying to deflect defamation law suits from alleged victims like Janice Dickinson. Let’s say all of the allegations against Cosby weren’t so much of an open Hollywood secret but rather public knowledge decades ago, that information probably would’ve saved countless women from allegedly suffering at his hand.